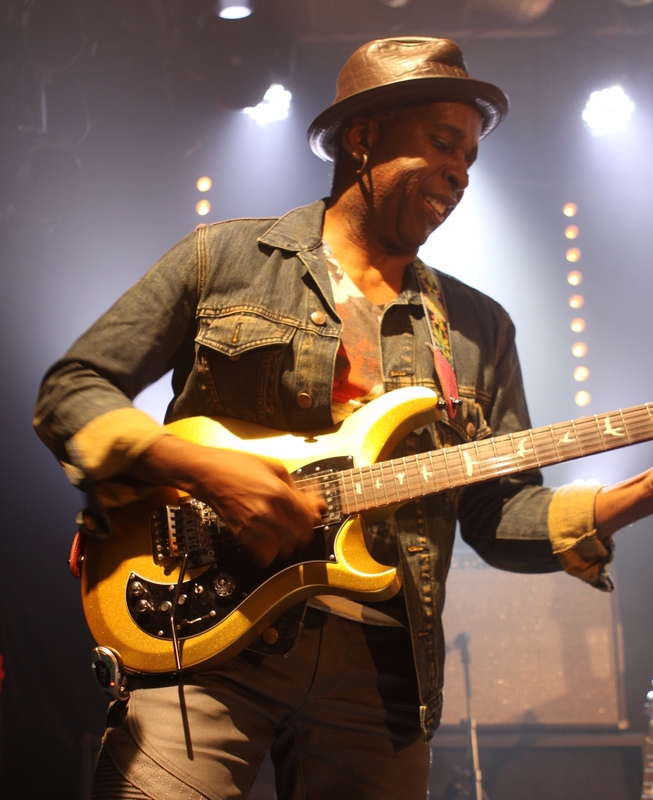 We had the pleasure of meeting up with him before a sublime Living Colour in Vauréal near Paris and within a very particular context. The gig was on November 8, 2016, election day in the US. The members of the band were somewhat nervous, afraid of the worst (which we all know now did happen). Once again they are playing in the Paris area during election season: eight years ago they played here one day after Barack Obama was elected president of the US for his first period in office. We had the chance to talk with Vernon about his touring gear, his love for synth pedals for guitar, and the influences that have helped shape his unique sound somewhere between funk, hard rock, jazz, blues, and who knows what else! 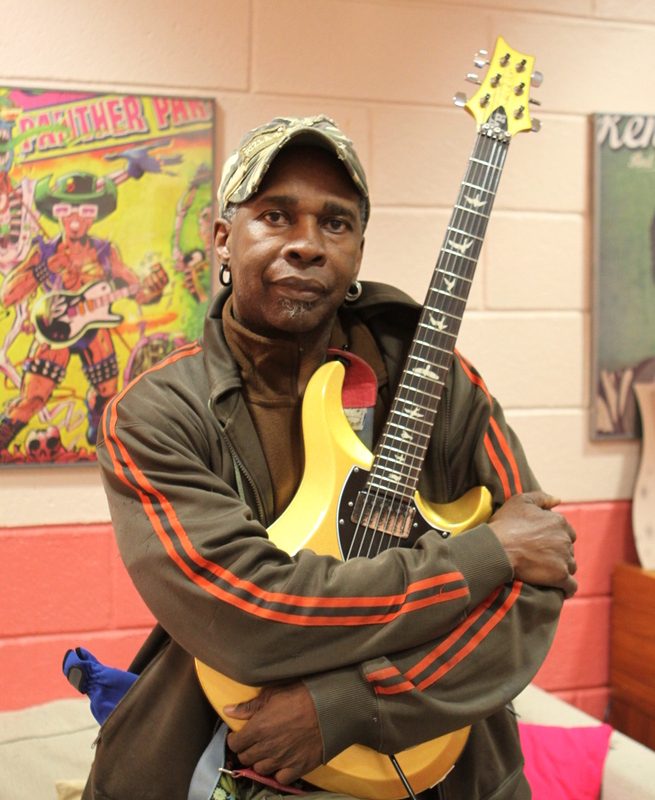 We also had the opportunity to discuss the Black Rock Coalition, a movement he founded in 1985, fed up of being looked down on for playing rock being black. 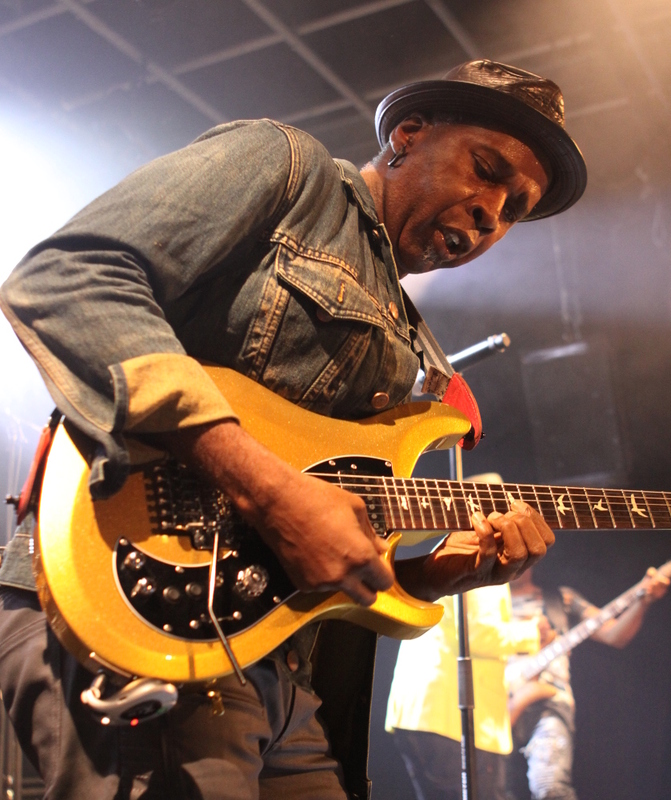 Their latest release was the Mixtapes EP, but you can expect a new Living Colour album – Shade – in 2017. Hi Vernon. First of all, the first thing that jumped to my eyes is the guitar, which changed since the last time you were in Paris. Is it a new one? Yes, it's a custom S2 Vela, it's a PRS. This is a prototype of a signature model that's gonna be coming out next year. It's a S2 Vela, but it seems that you changed a lot of things, right? This originally are stop tailpiece guitars and I had them put a Floyd Rose in it. 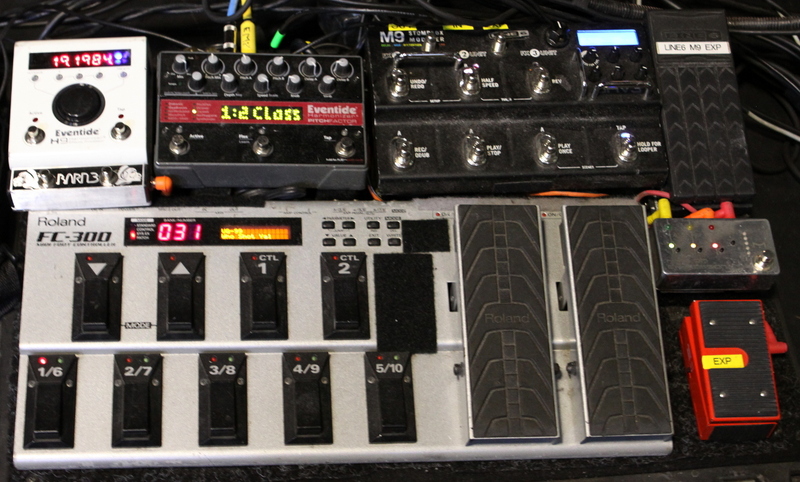 This guitar has a Roland 13-pin system that I'm actually not using it on this this tour, I'm actually going wireless. Is it sort of a MIDI pickup? Yeah, it's a MIDI pickup, a split pickup so each string is on a separate channel. It's funny because the technology of all that is changing. In fact I almost feel like Roland still have some devices that use that technology but they've introduced other devices that don't need it. So you can you use it with a traditional magnetic pickup? With a traditional magnetic pickup. Like one of the pedals I have is the SY-300, which is their guitar synth that's polyphonic but doesn't use a hex pickup. 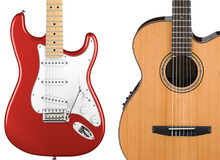 So, technology is changing but even though this divided pickups...like a company like Fishman have the Triple Play. And it's an amazing technology. It's pretty quick pitch-to-MIDI conversion but it's also wireless. It's amazing, it's got like a transmitter and receiver and it's a USB stick. I don't actually have that with me on this one because you can't bring everything. If I brought everything I would need a separate plane. But anyway on this trip I'm using a VG-99, a Roland modeling device I've been using for a number of years, since it came out in 2007. I know my way around it really well. 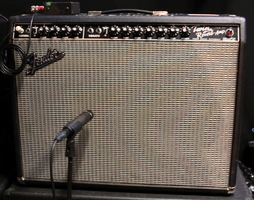 When we recorded our record, Shade, which is our new record coming out, that record has some tones from that but there's a bunch of stuff from the Kemper Profiling Amplifier, there's stuff from AmpliTube, from Positive Grid Bias all over the place. It's a mixture, and there's also analog pedals. There's all kinds of stuff going on on the record Shade. And when we tour next year I'm going to bring out the Kemper and I'm going to use it in conjunction with some other things. 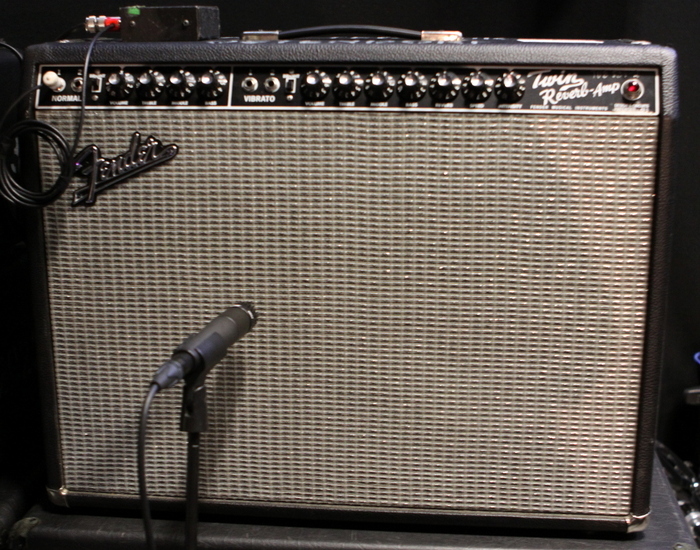 And do you keep your traditional tube amps at the same time? 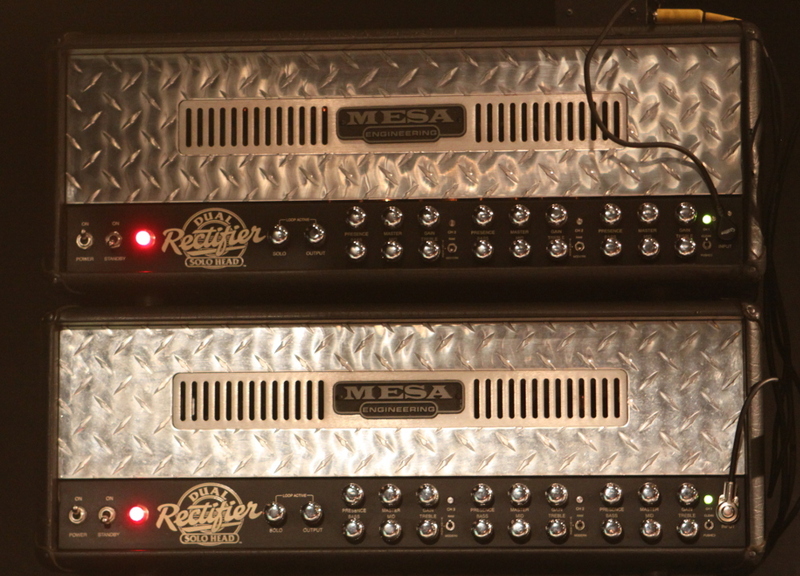 Yes, I have not yet let go of the Mesa Boogie Dual Rectifier. I haven't let go of that. I've been experimenting with a lot of different ways to make sounds. 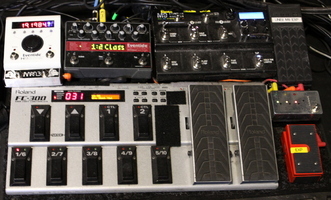 I have a Line 6 pedal, an M9, on my pedalboard and that was actually customized by Jack Vaughn from Atlanta. He did a kind of cool thing, where it's a little cleaner in bypass and stuff like that. So, I have a couple of things that have kind of been tweaked a little bit. But the biggest change has been the guitar. And also I've been using the H9 from Eventide and I have a PitchFactor on the board. And still active pickups, still EMGs? Yes, it's active EMGs. The other thing I like about this is the neck shape. It's a very extreme V neck. I've been working with the V shape neck profile back from my ESP days. 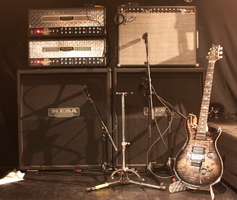 So it goes all the way back to ESP through Hamer, Parker and now PRS. Yes, and it's further... FU Tone, you know Adam Reiver does aftermarket customization of Floyd Roses. He has a heavy brass block which kind of adds to the sustain. So the Floyd is also a little tweaked. The craziest thing maybe is all the stuff you have there? Yes, that's for the Roland pickup. This one actually is a tone knob, and this is the volume for the hex pickup. That's a three-way switch for the hex pickup. 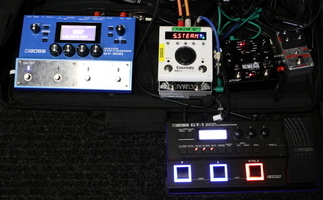 It's magnetic only (in the "down" position), a mix (in the middle position) and synth pickup only (in the "up" position). The two buttons you can assign them to have them turn on and off effects, to go patch up or down. But also, if you are using the 13-pin cable – on this trip I'm not using it. I mean for the last....I've been using a 13-pin cable for a really long time. I've been wanting a 13-pin wireless for the Roland and that really hasn't happened yet. It's one of those things that I think is doable but it would have to be someone, an aftermarket person to do it. I'm not sure where Roland is gonna go with this, what their next move is. Nobody knows what they re gonna do next. They are just gonna come out with whatever they come out with and then we all go "WOW, that's cool!" Like the last thing that they did was the GP-10, which I think is a pretty cool device. But I'm more used to the VG-99 'cause I've worked with it for such a long time. What string gauge do you use ? I'm using D’Addario NYXL 11-49. This guitar is in standard and my other guitar is in Drop D.
Yeah, there's a really small one that goes to the combo. I run a combo and two heads running stereo. And then also I'm running... The thing I've been doing is this kind of mult things. I found this passive mixers made originally by Digitech, by DOD (the DOD 240). And they are passive mixers but also mults. So you can take four mono inputs and get one input out, or you can go the other way around so you can take a single cable, plug it in and get four outputs. That has allowed me to send the guitar to different devices in parallel. That's a very cool thing. So I'll have the output of the VG-99 going into this mult and the guitar, the magnetic pickups are being sent out one to the GT1, one to the SY-300 and that's going into DIs, the synth thing, and one is going into and iPad running apps. It's actually going to an app called Flux which is developed by the great Adrian Belew and it's a very weird, cool thing! I also use Audiobus, sometimes with AmpliTube and Bias and other kinds of things. So basically you split your signal in three, right? It's actually going to four places. The VG-99 goes to the Dual Rectos, then the GT-1 is going to the combo, the SY-300 and the iPad going to DIs. Yeah, the H9 is very, very cool! Because it's like all their different algorithms are all placed into one very compact pedal. I like that. I also have a PitchFactor which is dedicated to harmonizing and things like that, whereas the H9 can be whatever. It can be modulation, reverb, delays. And you are actually using two H9s, right? Yes, one H9 is going to the guitar synthesizer and one's going straight to the guitars. I'm bringing things in and out, adding stuff. Like on the song DecaDance, which we hadn't played in a grip, I threw in some guitar synth stuff with the heavy guitar and it worked really well. It's easier because this is like we are doing our own set (tonight), a longer set than normal. We are also on tour with Alter Bridge and we have to play a shorter set, so some of the more extremely weird stuff doesn't really happen, because we don't have a whole lot of time. Let's talk about your amps. 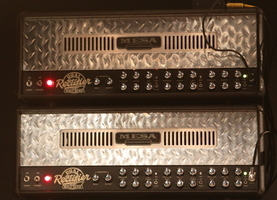 You are running two Mesa Boogie Dual Rectifiers and two 4x12 (Mesa Boogie) cabs. You use both heads at the same time, none is the backup of the other one, right? We have a backup head sitting around somewhere, but no they are both going. And then the (Fender) Twins, one is for the small multieffects, the GT-1, which actually I using the Zoom, the little Zoom, which is also pretty cool. Are you using most of the time the more gainy stuff on the Boogie and the cleaner stuff on the Fender? Yeah, something like that. I'm mixing it up. I have some dirt coming, some...it's all over the place! We've talked about all this gear, but your most important piece of gear is probably your fingers and your brain! Yeah, it's kind of following... like going down the rabbit hole, just following what's interesting. But ultimately it really comes down to the physicality of playing and, you're right, your brain, what you're open to. Being available to all the different things you are capable of. I've always felt that the thing that attracted me to guitar players was their uniqueness. The way...they had a way of approaching the instrument. And that's both with very famous players and also really obscure players that are really brilliant. The thing that has always struck me about all the players that have influenced me is that they are all their own people. The first guitar player that attracted me to the guitar was Carlos Santana. And then I heard Jimi Hendrix, Eric Clapton, Jimmy Page, B.B King, and Jan Akkerman. And then I heard guys in my neighborhood, you know. I heard this guitar player called Arthur Rhames who changed my life. 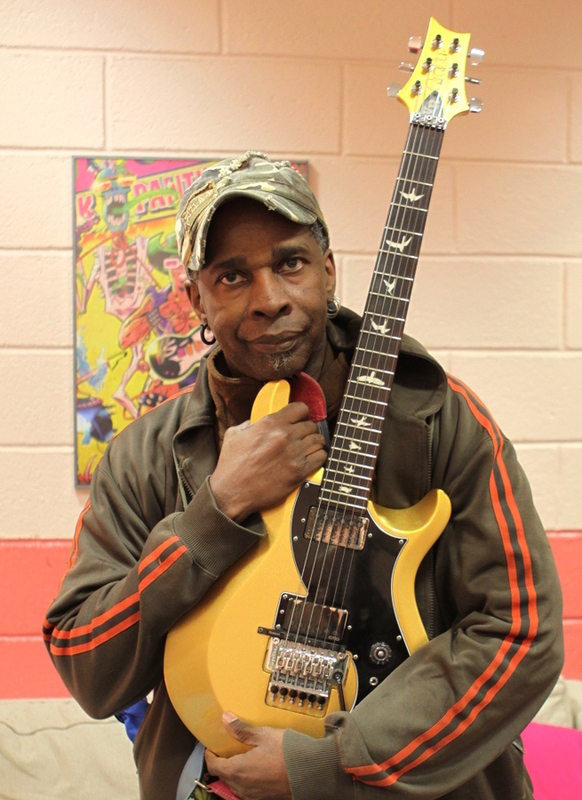 Larry Marsden, a guy from around Flatbush, who just played great guitar. There are so many people I've run across. People that I've just heard that are just fantastic, the way they approach it. I always felt like that's the thing that makes all of this different people great, that they do their own thing. And even the traditions, the traditional genres — and it's funny to think of metal as a traditional genre, but it is now. Metal has been around for...It's always disputed where you start it. Blue Cheer maybe, Black Sabbath? No, seriously, Summertime Blues, you could say that. Or Born To Be Wild or whatever. Iron Man, Black Dog. Wherever it started, there's a proliferation. And there's people who have become the standard bearers in hard rock and metal, like...Eddie Van Halen comes to mind really obviously. Tommy Iommi, he really set the tone. But then you think of someone like Tommy Bolin with the James Gang. 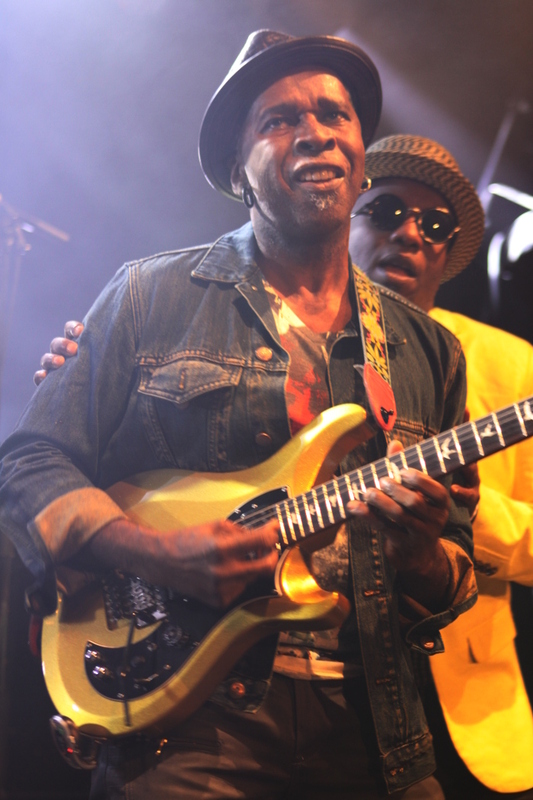 He was important to me because he was both in hard rock but also played on Billy Cobham's record Spectrum. And Billy Cobham was in a band with John McLaughlin. And the Mahavishnu Orchestra was a hugely influential band. McLaughlin also played with Miles Davis. And Pete Cosey also played with Miles. 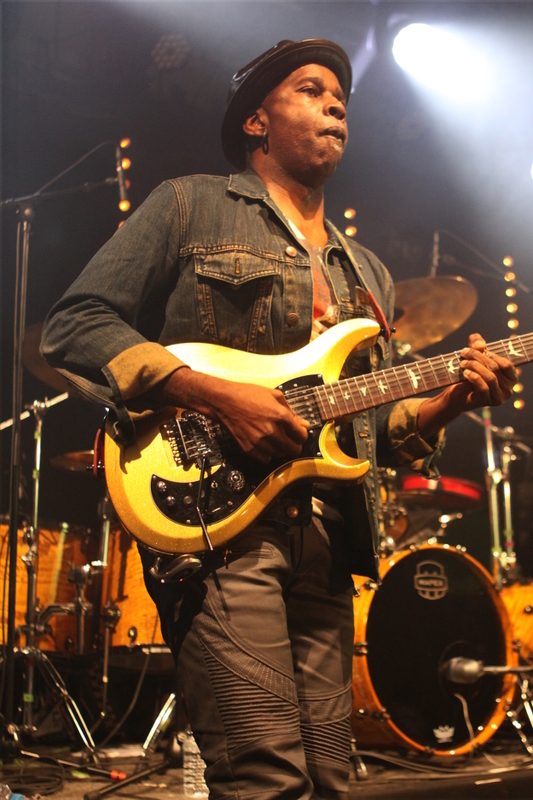 I'm thinking about people like Ernie Isley who had Hendrix living in his house and was part of the band Isley Brothers and that family, and really was responsible for the Isley Brothers having their next incarnation very strongly influenced by Hendrix. And Parliament and Funkadelic, Eddie Hazel. The first concert I ever went to... The first record I ever bought was Cosmic Slop and the first concert I went to was to see Parliament/Funkadelic with Eddie Hazel playing. And I remember them playing Maggot Brain, this long guitar solo piece, they played it live at Madison Square Garden. There's all this different stuff from all different styles, too. The main thing that unites all of it is something to say and something...a place that the different players are coming from. And people get into the whole thing about whose better and whose worse, who's this and who's that. But the thing that moves me is, number one, when it feels like a player is doing something that they have to do, whether people like it or not. Number two, when it feels like the person that's playing the instrument really is fully engaged, fully dedicated. I remember hearing KC And The Sunshine Band. There's this song Get Down Tonight that has an amazing guitar solo, amazing! This is like before Whammy pedals or whatever. They probably played it on tape, slowed down the tape and played the guitar solo, it's incredible. 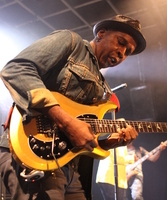 I think about Omar Mesa, who many people don't know his name but played guitar in the band Mandrill. He was one of the first just incredible guitarists I heard on record. So, it's all of these different people, whether they were famous, not so famous, everyone from Alan Holdsworth, to Shawn Lane, to Amos Garrett,...Mike Hampton all these different people coming from all these different places. They play the guitar like your life depended on it. When it sounds like somebody's playing the guitar and they are not playing like someone's looking over their shoulder. That's what I like. Before we finish, we wanted to ask you about the Black Rock Coalition you started several years ago. What's up with that right now? It's still functioning. It's had a female president, Laronda Davis, for a number of years now. The initial idea, for real, was to start a conversation about black music, about what's possible in music. And also to talk about racism as it was manifested in the music industry. Which is...There would be no music industry if it wasn't for African-American music. I mean, Race Records started it. And we found ourselves in a situation where there were very prescribed limits on what a black artist could...would be accepted to play or to perform. And it was coming form all sides: it was radio, it was live venues and it was also what was happening with the record business. And all of it is changing now because technology has changed, a lot of things have gone by the wayside, but the fight is still on. A lot of what it is is about community. To people to even know...If you are working in isolation you don't know what other people are doing. A big part of it is to get people to see each other. It's being evolving and morphing. It's been an interesting situation because now we have organizations like Afropunk which have come along and are very successful in producing concerts and events. And I would say that we, the Black Rock Coalition, was a part of what allowed there to be an Afropunk. It just means that the conversation is ongoing and I think the more people are engaged in the conversation, the better. I actually think that there really needs to be a linkage between art and the social situation. I think that's very important, especially with regards to what's being happening with police brutality, police violence, gun violence. We recently put out an EP with the song Who Shot Ya?, which is by Biggie Smalls, and we are playing later on tonight. And on the EP we got a few different rappers to come through and be part of several remixes about the song and I think it was very effective. We had Prodigal Sunn, Chuck D, Black Thought from the The Roots, Pharoahe Monch, Divine Styler, Niro Barnes. A bunch of different cool people come through.